Discover your magical foods and herbs. Is there a food that just “does it” for you? An herb you can’t live without? Last fall I had a new ally catch my eye – elderberry, a cold remedy. There were signs – I had seen it in a book, then saw elderberry syrup front and center in the grocery store. A few days later I started sneezing and ran directly for the elderberry syrup – of course I had to try it. Maybe I got sick on purpose so I could try it! I added it to peppermint tea, a classical herbal combination. There is much power (and wisdom) in the elderberry beyond it’s physical uses. 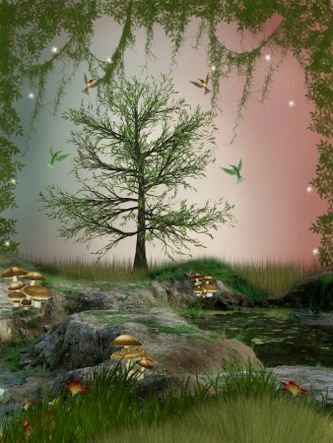 According to Ted Andrews in his Enchantment of the Faerie Realm book, “It is the ideal tree spirit to connect with to awaken a renaissance with the faerie realm.” Now I’m wondering where it has been all my life. I took the syrup into work one day and my coworker asked what it was. When I told him, he said, “That sounds like something a wizard would take.” Maybe that’s what I’m going to be when I grow up!